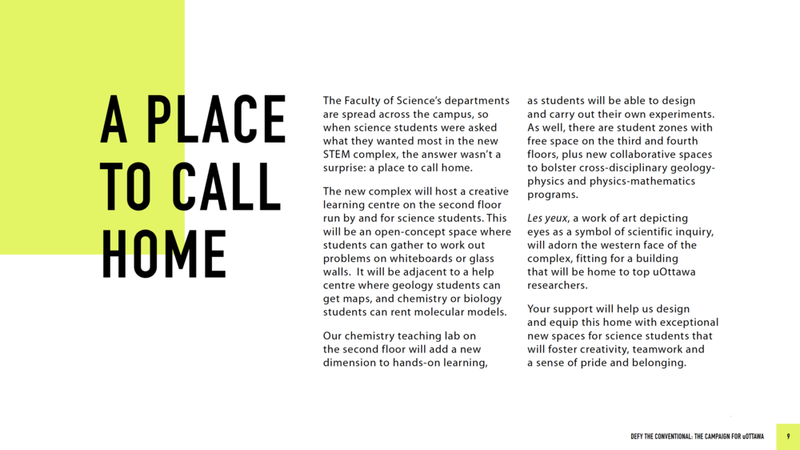 Electronic PDF showcasing the new uOttawa STEM building and opportunities for giving. Inspired by the building's state-of-the-art features and by the collaborative nature of the workspaces inside its walls, the design is clean, modern with a bit of an edge. I love the punch of neon!